Welcome To Prussian and Cobalt, Version 2.0! Here you will find all sorts of information about 1x2/2x1! 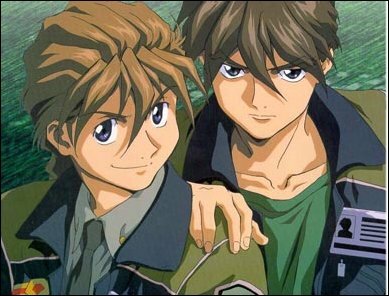 This page you are about to enter is a Gundam Wing fansite! Second, Prussian and Cobalt is heavy on graphics. Gomen ne. Thirdly, my spelling is terrible. Note: Prussian and Cobalt is best viewed with IE 4.0+ NOTE: Netscape will NOT work!, at 600x800 resolution. For best results, please maximise your browsers!